Tom and Jerry are gruesome-twosome! 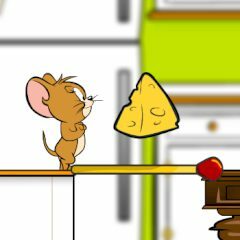 Jerry is very hungry! He wants to eat some cheese. It is in the kitchen and of course, Tom is on his way! Help Jerry to pass through Tom and eat a bellyful.